To make the traditional Bow Tie blocks featured in this quilt, you’ll cut only squares and use the folded-corner method to create the triangle corners in each two-fabric unit for each block. Layouts are provided for two different finished quilt tops using the same combination of blocks. The difference is the result of the placement of Fabric N across the block rows. 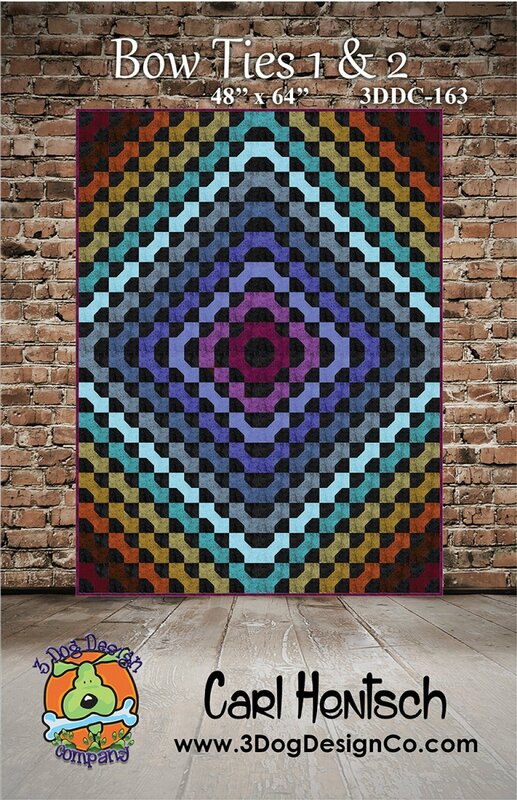 It’s the perfect project for chain piecing to make quick work of sewing and pressing the multiple units for the blocks done in an array of the tonal fabric color combinations.